From my visit with Steeldust’s band, I spotted Grey/Traveler and his mare, Houdini, and their daughter, Terra. They were closer than I had seen them in several visits, so I took the opportunity to walk out for a visit. Love to “capture” their faces. Also love to photograph them against the (La Sal) mountains! My gorgeous, high-desert boy, sleepy in the sunshine. While the horses in Steeldust’s band were still napping, I tiptoed away, then turned back to take this pic – actually, these two pix. Then I let Photoshop stitch ’em! The horses were so quiet and still, they apparently didn’t move a hair! So my first attempt at a panorama of animals has turned out better than any series I’ve ever stitched together of inanimate objects! From left: Alpha and Steeldust, Hannah and Storm (yes – note the slightly redder hue of her coat and the browner hue of his – they’re lying flat out 🙂 ), Sundance behind Mahogany, Sable, Kestrel, Mouse behind Kestrel, Ember, barely a bit of Comanche and Aspen! It’s so hard to get all the horses in one picture close enough to identify them and not have them be just a blob of horseness out in the distance. While they were quiet, it was cool to take a couple of pix and combine it later. Not in the picture are Luna and Butch – to the left – and Hook and Pinon, hidden in a bit of a draw behind these guys. I’m slowly but surely getting through the pix and posting stuff as it moves me – hope that’s OK! When I started my visit with Steeldust’s band this week, the young stallions were on active alert. Butch was guarding Luna, Steeldust was the eye of the storm with Alpha and Storm, Sundance didn’t really know what to do, Mouse was snaking Kestrel and Mahogany all around, Ember and Pinon were hanging back with Hook, on the outskirts, Aspen was trying to exploit a hole, any hole, especially those created by Sundance, and Comanche was circling the group trying to keep him away. But pretty quickly – to me – they settled down and went to sleep! Eyes closed, lips droopy. Butch and Alpha overtly watched me; the others seemed to ignore me as I sat down and fell into the lull of their lowering energy. At one point, about half of them – all the youngsters and Sundance and Hook at least (that I could see from where I was) – laid down! Little Hannah was one of the first. Going down … front-end first. Butch at left, Mouse at right. Mama Luna at left, Butch center. Photographer Pam Nickoles has amassed a collection of links on her blog that will take you to coverage about the March for Mustangs rally in Washington, D.C. Check back; she said she’ll be adding more! To those who were there, thank you so much for standing up for our mustangs! They weren’t lost, of course. They knew where they were all along. But I didn’t know. My notes say I hadn’t seen the elusive boys since Nov. 22! I wasn’t worried … but I missed them. Look who-la-lah I found today! They were back toward Bones Valley … Found ’em when I went to check one of the ponds that got dug out last fall. They’re such cool cats, they acted like no time at all had passed. Poco. He has a knack for sticking himself in the face with prickly pear spines. Roach. It was windywindywindy today. There is an encouraging amount of water in both dugout ponds. These pictures are for a couple of my new friends over at Girls Horse Club! Victory Cowgirl (Jumper) asked about stallions and foals, and this is Hollywood and his son (yes, biological) Sage, who will be a yearling in just another month! This was taken during my visit last week. Look at those ears. Happy daddy and son! A little annoyed, maybe. Notice that Sage is “baby clacking” – I didn’t mean anything by it, Dad, really! They walked on a few more steps, and Hollywood went back to grazing, and Sage turned his attention to his “aunties,” Baylee (who really may be his mama’s sister) and Iya. This was Ceal, Shadow’s dam, the first time I saw her back in 2004. She’s pregnant with her foal, and that’s her yearling colt peeking around behind her. They were with Poco and Roach at the time. And this is weanling Shadow and Ceal in November 2007. The old girl didn’t make it through that winter, but, just like Molly did with Liberty, she spent some time with a band – the pintos – who later adopted Shadow until David stole her away in the late summer of her yearling year. A rally and protest co-sponsored by The Cloud Foundation, The Equine Welfare Alliance , Friends of Animals and many more! Where: Lafayette Park located directly across from White House at 16 Street and H Street, NW). Around 3:00pm protesters will march with sign to the BLM office at 1849 ‘C’ Street. 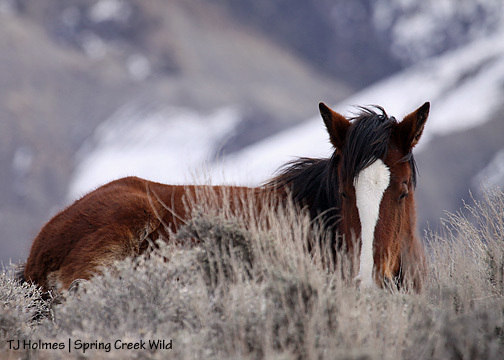 Plus Mustangs on the Hill II: On Friday morning we’ll meet and brief people on meeting with their Represenatives in meetings to save the mustangs. Please schedule an appointment with your Representatives for Thursday morning or Friday. 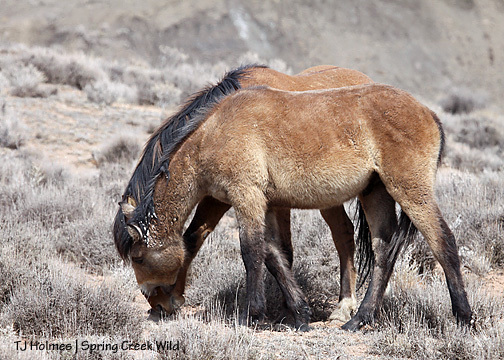 The first Mustangs on the Hill last September made a lot of important impacts for wild horses– please schedule meetings now and make the most of your time in DC. 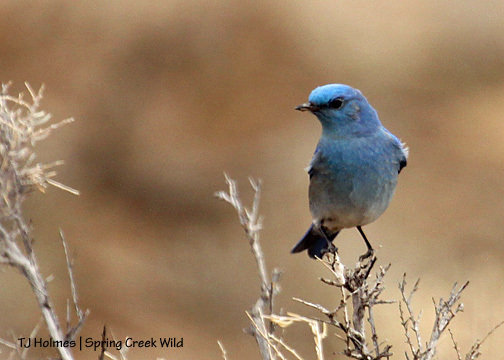 Why: BLM’s cruel and poor mismanagement is destroying a vital piece of the American west. The American public is sanding up for our horses and burros- please join us in a March for Mustangs, rally and protest. Roundups increased significantly in 2000 in the Bush years and they haven’t let up under the Obama administration. 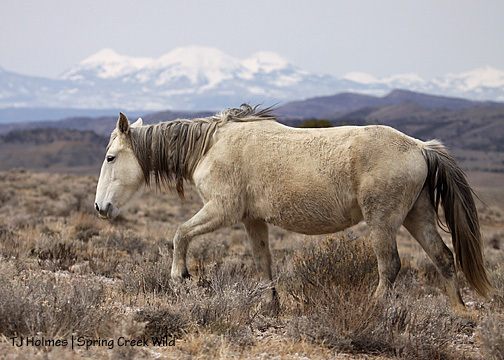 12,000 wild horses and burros are scheduled for removal from our public lands this fiscal year alone. These helicopter roundups come at enormous expense to our wild herds and to the American taxpayer. 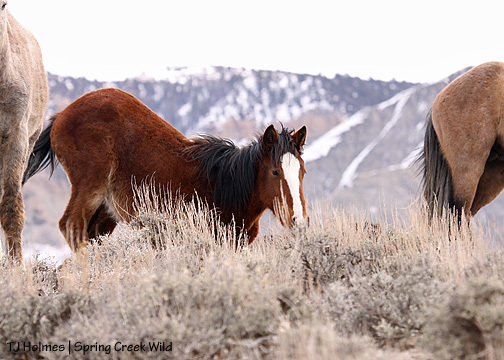 Recently the roundup of 1900 mustangs took place in the Calico mountains of Northwestern Nevada during the dead of winter, ending early in February when BLM realized the herds were far smaller than estimated. 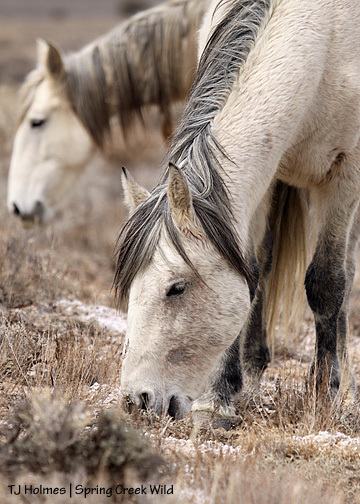 To date 60 horses have died due to this roundup and the death toll continues to climb daily. This does not include the 30 plus mares that have aborted their late-term foals in the feedlot style corrals in Fallon, Nevada where the horses are being held. Two foals had their hooves literally separate from the bone after the helicopters ran their families for miles over rocky and sharp volcanic ground. 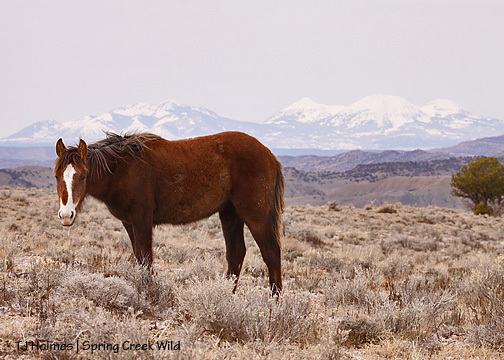 Secretary Ken Salazar, who oversees the BLM, has decided there is no room left for our mustangs on their designated lands in the west. 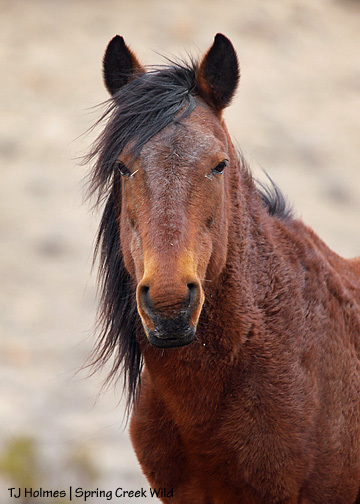 The Secretary and has proposed purchasing private land in the East for our Western wild horses. This only adds to the financial and humane train wreck that the Wild Horse and Burro Program has become. 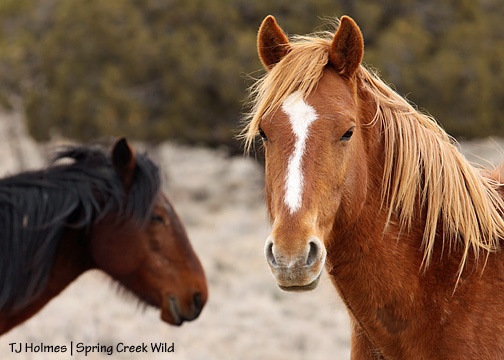 So rather than spending over thirty million dollars this fiscal year to remove our wild horses and burros from the range, let’s protect them on their western lands. 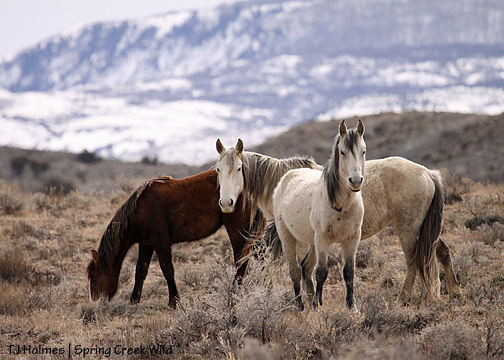 The intent of Congress’ 1971 Free-roaming Wild Horses and Burros Act was not to warehouse our allowed to live in freedom in self-sustaining numbers on western rangelands designated primarily for their survival. 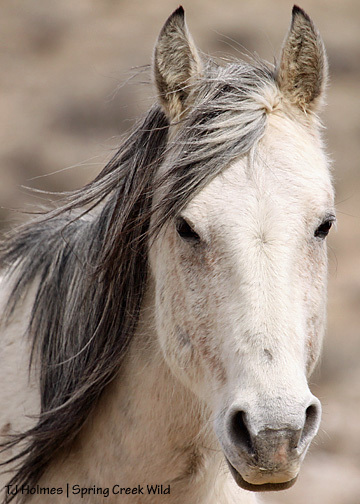 Drastic change is needed in the management of wild horses and burros if they are to survive, as wild animals, into the future. 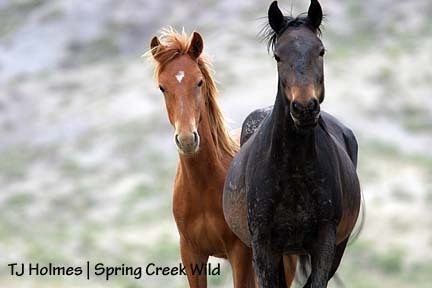 Wild horses benefit the land as they evolved in North America and they represent our living history in the west. Annually we lose $123 million running a taxpayer subsidized grazing program is often referred to as “welfare ranching” due to the small fees charged to livestock permittees. The rate is currently the lowest allowed by law—$1.35 per cow/calf pair per month. This rate needs to be raised to over $9.00 in order for the program to break even. 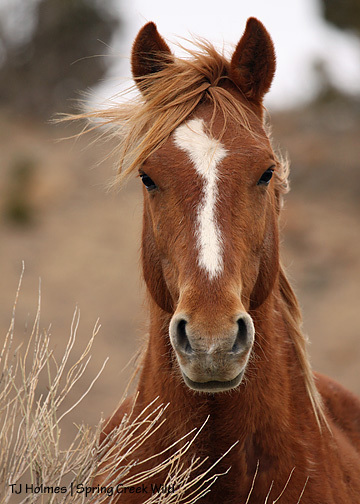 If cows were removed and horses allowed to stay, we’d save even more—including our valued mustangs. Holding the 1900 Calico horses alone in a feedlot style facility amounts to a staggering cost of over $10,000 per day! But change is on the way for our wild horses and burros! Some 25 protests have been mounted from coast-to-coast including Chicago, LA, NYC, Denver, Las Vegas, Reno, and Sacramento since late December. Thousands of people have braved the cold and come out with their families to hold banners and signs demanding that President Obama react to the hideous mistreatment of our spectacular wild horses and respond to the incredible waste of taxpayer dollars on a broken program that only lines the pockets of powerbrokers and cattle barons. Now is the time to say enough is enough. Open the gates and return our wild horses to their rightful ranges. Please take action for our wild herds. An immediate moratorium on all roundups is needed! This must be followed by hearings and investigations on BLM mismanagement; accurate and independent assessments of just hwo many wild horses we have left and the real range conditions. 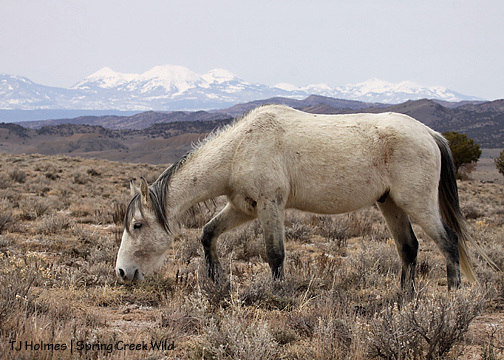 Then we need to develop a sustainable plan for our wild herds on our Western public lands and restore their protections set forth in the 1971 Wild Free-Roaming Horses and Burros Act. 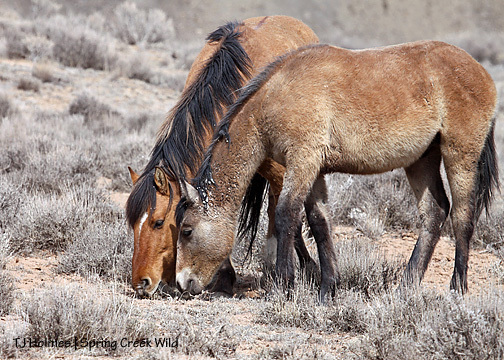 Moving our wild horses in non-reproducing, broken families to the East is not the answer. 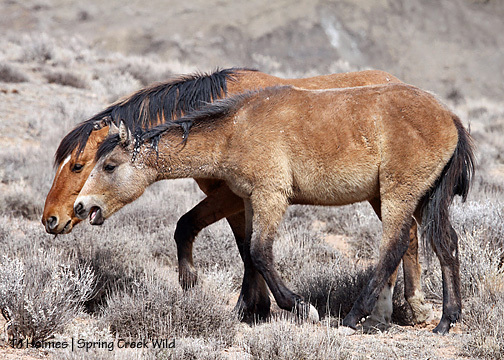 Join us on Thursday, March 25th for a Mustangs March on Washington and take action today to save these incredible animals who are currently being managed to extinction. CHICAGO, (EWA) – The outrage over the round-up of America’s wild horses and burros has spread internationally. Groups in the United Kingdom will be holding a rally in front of the American Embassy in London on March 25. On the same day, Americans will be holding a rally across from the White House in Lafayette Park that will conclude in front of the Bureau of Land Management (BLM) offices. The London Protest was organized by Jane Bravery, Mary Alice Pollard of Cornwall’s Voice for Animals (CVFA), Maria Daines, singer/songwriter and board member of Saving America’s Horses and international actress, Melita Morgan. The rally is cosponsored by the Equine Welfare Alliance (EWA) and The Cloud Foundation (TCF). The Washington DC rally and press conference is hosted by Friends of Animals and is cosponsored by EWA, TCF, and In Defense of Animals. A screening of James Kleinert’s documentary, Disappointment Valley will be held the night prior to the protest. Celebrities, advocates and organization members from across the country are expected to attend the two day event. 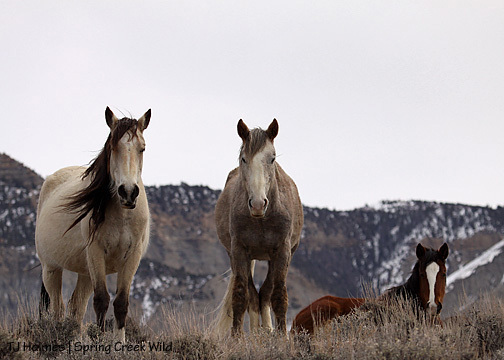 “There is a groundswell of support for the preservation of America’s Mustangs. The BLM would like the public to believe this is just a minor uprising but this is a major international movement.” ~Ginger Kathrens, volunteer executive director, TCF. The recent deadly round-up at the Calico Complex in Nevada has added to the tremendous support for a moratorium on round-ups. 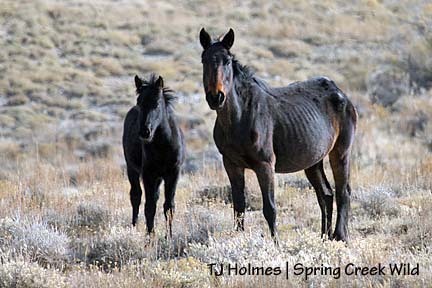 To date, 113 wild horses have lost their lives as a result of the round-up. At least two foals literally had their hooves run off. 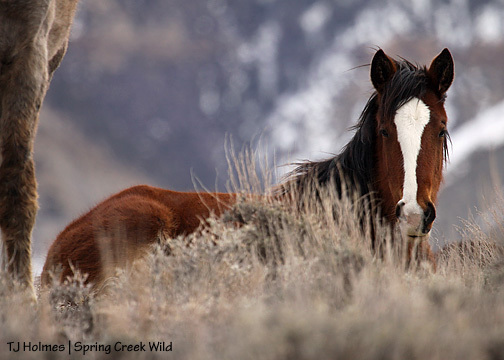 CVFA, EWA and TCF urge the public to attend these rallies and ask that President Obama issue an immediate moratorium on round-ups and reject BLM plans to relocate wild horses to the East and Midwest until current range studies and independent population counts are available. The Equine Welfare Alliance is a dues free, umbrella organization with over 100 member organizations. The organization focuses its efforts on the welfare of all equines and the preservation of wild equids.